Global climate change is an urgent challenge and efforts are underway to limit the increase of global temperatures to no more than 2 degrees Celsius by the middle of the century. At the same time, about 1.3 billion people, the majority of whom live in developing countries, lack access to electricity. With curbs on fossil fuel use being a key strategy in efforts to reducing climate change, demand for energy must be met, as much as possible, by climate-friendly means. In addition to the deployment of clean energy technologies, further deployment of energy-efficient lighting and other technologies that cut down on existing power demand will help in reconciling these seemingly conflicting goals. How can trade-policy aid these efforts? Late January 2015 saw the wrapping-up of a week of talks on the inclusion of clean energy and energy-efficient goods as part of a broader “trade-liberalisation” package known as the Environmental Goods Agreement (EGA). While the talks include only among a small group of 15 WTO members outside the formal “Doha” negotiating round, the benefits of liberalisation will be extended to the entire WTO membership once concluded. Negotiations on a final product list are set to begin in earnest later this year once all members put forward their list of product nominations. The talks offer a great opportunity for trade negotiators to “do their bit” for global efforts to combat climate change and improve access to sustainable energy. They can do this by allowing clean energy and energy-efficient goods such as solar water-heaters, LEDs and lighting fittings to circulate more freely in world markets unhindered by trade barriers, thereby lowering costs of purchasing and deploying such goods by industries, governments and individuals alike. Greater use of such products displaces fossil-fuel imports for net energy importing countries, improving energy security as well. Import tariffs that EGA members apply to many clean and energy-efficiency products are already at zero and are very low (in the 2 to 5 percent range) for many others. Eliminating some of these so-called “nuisance tariffs” could also lower the cost-burden of administering these tariffs in addition to contributing, even if minutely, to lowering the prices of these goods. The next phase of EGA talks could potentially also address non-tariff measures such as standards, which are often more significant barriers to trade than tariffs. Establishing a precise quantitatively measureable correlation between reducing import tariffs on “environmental goods” and environmental impacts including greenhouse gas emissions reduction may be difficult, given the relevance of domestic demand conditions including price-elasticity, domestic environmental regulations, income levels, and domestic energy prices. Still, it is safe to assume that any measure that contributes to overall cost reduction and promotes sustainable energy access can only be beneficial from both a climate mitigation as well as an energy access point of view. In the case of import tariffs, higher overall import tariffs for a product prevailing in an economy combined with greater consumer responsiveness to price declines (high price elasticity) will lead to more market uptake for the product when those import tariffs are reduced. EGA negotiators should ensure that the “right products” from a climate and sustainable energy access perspective make it on any final list. They should, for example, certainly include products that hit “sweet spots” in terms of high impact on energy-efficiency and overall energy savings with greater diffusion. Two examples of such energy-efficiency relevant products are light emitting diodes (LEDs) and high-efficiency motors. According to the International Energy Agency (IEA), lighting accounts for about 19 percent of global electricity production, and it is estimated that a worldwide switch to LED lighting could save electricity consumption by about 40 percent. In addition, LEDs powered by solar energy play an important role in bringing lighting to rural communities in developing countries not connected to the grid. Similarly, motor-driven equipment accounts for about 54 percent of electricity end-use in manufacturing. The use of more efficient electric motors and drives alone is estimated to save 20 to 30 percent of global electric motor demand (i.e., 10 percent of all global electricity consumption). Inclusion of such products present specific challenges for EGA negotiators to consider. For example, LEDs as a stand-alone product are easily identifiable based on their physical attributes as relevant to energy-efficiency; however, some lighting fittings using LEDs may be lumped together by customs authorities with other types of lighting appliances. Efficient motors present more of a challenge in granting duty-free treatment. Even the most energy-efficient motor (in terms of performance) may not be readily identifiable physically except through a label based on a certification system. One option suggested by several industry groups that trade negotiators may wish to consider would be to use internationally accepted standards, such as those developed by the International Electrotechnical Commission, and ensure that the highest efficiency classes of motors automatically benefit from low or zero tariffs. It is also important to ensure that newer technologies will continue to benefit from the zero duties granted. Many countries including EGA members already apply zero import duties on many clean energy and energy efficiency technologies such as LEDs, although other products, like energy-efficient motors, often attract higher duties. Import tariff liberalisation should in any case only be considered as a first step in enabling greater diffusion of such products. Other measures such as domestic minimum energy performance standards (MEPS) and harmonisation and mutual recognition of standards for energy-efficient will be required. Import-tariff liberalisation is the low-hanging fruit in this case, as it is easy for countries to implement immediately at little cost. Enabling meaningful product coverage within an EGA gives trade negotiators a unique opportunity – as one among a diverse group of global policy actors – to nudge the process further towards effective climate mitigation. In doing so they must also bear in mind development related concerns including enabling export opportunities for developing countries and facilitating the reach of sustainable energy for the millions that need it. 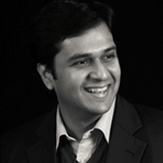 Mahesh Sugathan is a Senior Research Fellow with ICTSD. He wrote the overview paper Winds of Change and Rays of Hope: How can the Multilateral Trading System Facilitate Trade in Clean Energy Technologies and Services? for the E15 Expert Group on Clean Energy Technologies. Many of the ideas in this blog are derived from the author’s forthcoming publication for ICTSD: Sugathan, Mahesh (2015); Addressing Energy Efficiency Products in the Environmental Goods Agreement: Issues, Challenges and the Way Forward; Issue Paper No. 20; International Centre for Trade and Sustainable Development, Geneva, Switzerland, www.ictsd.org.